If you're looking for licensed and insured roofing contractor here in Mission Viejo that specializes in roof leak detection then you're in the right place. South County Roofing is a roof repair specialist and we prefer to work on asphalt composition shingle roof and all type of tile roofs. If you have either of those roofs and you are dealing with a roof leak that is damaging the interior of your home then give us call. We are located in Lake Forest, Ca 92630 and you will be able to schedule us to come out and check out your roof as soon as possible. It doesn't matter what kind of tile roof you may have we can repair it. Not only can we but chances are we have done 100's of times. Mission Viejo tile roofs are usually either Spanish tile (Like the one shown in the pictures or some sort of concrete tile. Tile roof repairs such as repairing slipped or displaced tiles, fixing roof edge that are in danger of falling off the roof, and broken roofing tile repair is something we can help it. Give us call and Brian, Bill, or Benny will come out to your roof and give you the best possible price we can with the goal of getting you roof fixed by us as soon as possible. If you would like to keep your roof in good working order you may want to have us tune up your roof. 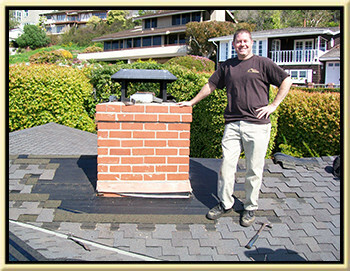 We work on tile roofs, shingle roofs, slate roofs, Spanish tile roofs. No matter what type of roof you have you can repair loose or slipped tiles, repair minor wind to shingles or tiles, replace loose trim roofing tiles, and seal any plumbing and heating flashings. We'll even check and make sure your storm collars and caps are in good working order. Call us today and schedule your roof tune up tomorrow. One of the components of your shingle roof is the ridge caps. For some reason Mission Viejo has a lot of shingle roofs installed with bad ridge caps. 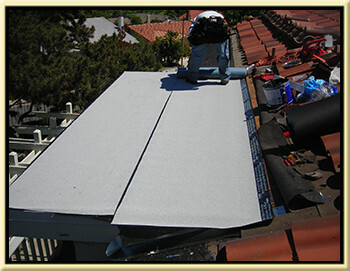 If you suspect your ridge caps are in need of replacement then give us a call. We can carefully remove the ridge caps currently on your roofs, bag them up, haul them away, and properly dispose them, and install a brand new Class "A" ridge cap system that you will never have to replace again. Our warranties are the longest in the business, our workmanship is some of the best you can buy, and our prices are affordable. Give us a call and leave the rest to us.